Global markets are becoming ever more complex as the Great Reckoning for the failure of stimulus policies continues. This means that each blog post is now taking much longer to write. It therefore seems sensible to focus on writing 2 posts each week – on Monday and Thursday – in order to continue to provide the highest possible quality of analysis. 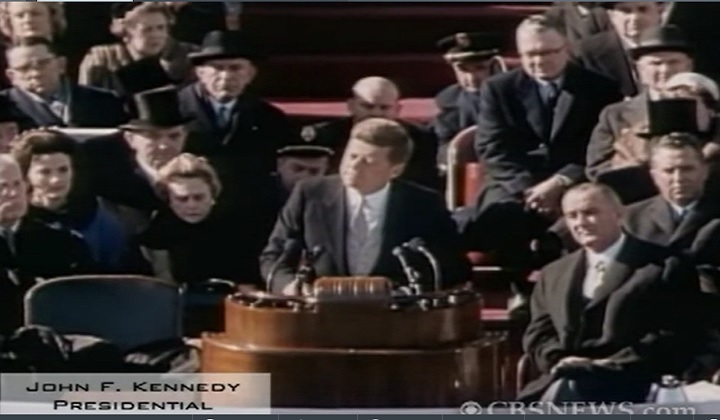 If you have a spare 2 minutes today, or later, you might like to view this extract from President Kennedy’s Inauguration speech on January 20, 1961. The words are powerful in themselves, but the applause of the crowd as they warm to their new President makes it a very special address. “We are the heirs of that first revolution. Let the word go forth from this time and place, to friend and foe alike, that the torch has been passed to a new generation of Americans–born in this century, tempered by war, disciplined by a hard and bitter peace, proud of our ancient heritage–and unwilling to witness or permit the slow undoing of those human rights to which this nation has always been committed, and to which we are committed today at home and around the world. “Let every nation know, whether it wishes us well or ill, that we shall pay any price, bear any burden, meet any hardship, support any friend, oppose any foe to assure the survival and the success of liberty. “This much we pledge–and more. “Today I say: As long as this gate is closed, as long as this scar of a wall is permitted to stand, it is not the German question alone that remains open, but the question of freedom for all mankind. “There is one sign the Soviets can make that would be unmistakable, that would advance dramatically the cause of freedom and peace. 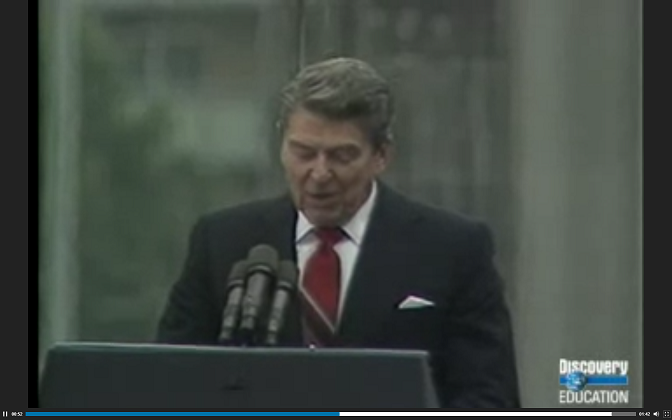 “General Secretary Gorbachev, if you seek peace, if you seek prosperity for the Soviet Union and Eastern Europe, if you seek liberalization: Come here to this gate. “Mr. Gorbachev, open this gate. In less than 3 weeks time, on January 20, a new President will deliver his Inauguration speech at the same podium where Kennedy, Reagan and other past Presidents spoke. From what we know today, it is likely that President Trump will, however, deliver a very different message. His pre-Election speech at Gettysburg talked of building a wall, not tearing one down. And he made no commitment to maintain America’s leadership of the free world. If President Trump pursues the policy program on which he was elected, we are therefore about to live through a paradigm shift in America’s role in the world. This is his right as President, and America’s right as a free country. But it is critical that all of us recognise the change about to take place. This is not a minor development. In its own way, it could prove as long-lasting a shift as JFK’s manifesto. None of us have any experience of political risk on this scale. Since Kennedy’s speech, the US has seen itself as the world’s policeman. Now, this bedrock of our lives – whether we live in the USA or elsewhere – may be about to change. It may lead us to a better future, or it may not. None of us, not even President Trump, can be sure. Human beings hate change. But after January 20, Denial will no longer be an option. There will be Winners and Losers. In 2017, the Winners in today’s New Normal world will be those who recognise that managing political and social risks has become critical to achieving economic success.